Chapter 13: Half-Term at Last! For some reason, every time I think of HALF-TEEEEEEEEEEEEEEEEEEEEEEEEEEEEEEEEEEEEEEEEEEERM, I’m reminded of this comic. I’m sorry, I can’t help it. The girls became very excited at the beginning of half-term week. Many of them would see their parents on the Saturday—and Miss Remmington, the games-mistress, had suddenly decided to have a small edition of the Swimming Sports for the benefit of the parents. Darrell’s pretty excited by HALF-TEEEEEEEEEEEEEEEEEEEEEEEEEEEEEEEEEEEEEERRRRRRRRRM, but first she’s in for a shock. This is one of those schools where students’ class rankings are routinely read out for all to hear, as if that’s not deeply humiliating and potentially demotivating … and Darrell’s doing kind of badly. Like, Mary-Lou-and-Gwen-type-badly. Darrell goes off to see Miss Potts, to let her know that her parents are paying good money for this education, and they expect the school to produce the goods ask what happened. ‘But Miss Potts,’ said Darrell, and then stopped. She didn’t know quite how to say what she wanted to say. She wanted to say that she had much better brains than at least half the form, so why was she so low? But somehow that sounded conceited. Miss Potts, man. She’s so great. How fierce is Miss Potts, eh? Darrell flushed very red and looked as if she could sink through the floor. She nodded. Darrell didn’t like to ask Miss Potts if she thought she had the makings of a first-rate person in her, but she couldn’t help hoping that she had. She went away rather subdued. What a pity she hadn’t been whole-hearted over her work and got up to the top, instead of being whole-hearted over playing the fool with Alicia and Betty, and sliding down towards the bottom. I’m also a little charmed that Blyton — because surely she’s speaking through Miss Potts here — regards teaching and the creative professions as deserving the same respect as medicine. Gwen, meanwhile, is looking forward to HAAAAAAAAAAAAAAAALF-TEEEEEEEEEEEEEEEEEEEEEEEEEEEEEEEEEEEEEEEEEEEEEEEEEEEEEEEEEEEEEEEEEEEEEEEEEEEERRRRRRRRRRRRRRRRRRRRRRRRRRRRRRMMMMMMMMMMMMMMMM because it’s a chance to, um, rub her governess’s face in it? How small she would make Miss Winter feel, when she talked of her lessons and how wonderful she was at everything! Sadly, Mary-Lou’s mother can’t make it, so she’s stuck with Gwen, and Gwen’s ego for the day. BUT WAIT, A WILD DARRELL APPEARS! ‘I think you’re a bit hard on her,’ she remarked, in her forthright Scots voice. “Forthright” is such an odd adjective in this context. Yes, Jean is outspoken and honest, but is her voice outspoken and honest? You know, I really haven’t given Jean enough appreciation in these posts. Let’s change that. JEAN, YOU GUYS. SHE’S PRETTY EXCELLENT. She turns up, says sensible and often funny things, and then leaves. Like Irene, only her hat is being Scottish, not a genius. ‘No.’ said Mary-Lou, and couldn’t say any more. If only she could have said yes, boldly, right out! But she couldn’t. I SYMPATHISE, MARY-LOU. My therapist sent me away last week with instructions to be mindful of situations where my first instinct is to do my best impression of a welcome mat. It’s surprisingly hard! And that’s just being aware of the instinct, not actually doing anything to assert myself! HAAAAAAAAAAAAAAAAAAAAAAAAAAAAAAAAALF-TEEEEEEEEEEEEEEEEEEEEEEEEEEEEEEERM arrives at last, and Darrell is in high spirits. She’s even singing! She’s in such a good mood that she impulsively invites Sally to join her for the day. ‘I’d rather not, thank you,’ said Sally, in a stiff little voice, and went on up the cliff without another word. All this rejection is getting a bit awkward for Darrell because her mother is particularly keen to meet her friends, and it’s starting to look like Darrell doesn’t actually have any. Finally, she invites Emily — you remember Emilly? She’s really into sewing — and Emily happily accepts. This is lucky, because after that, there was only Violet, and that would first involve remembering her existence. Which, obviously, Blyton doesn’t. HAAAAAAAAAAAAAAAAAAAAAAAAAAAAAAAAAAAAALLLLLLLLLLLLLLLLFFFFFFFFFFFFFFFFFF-TEEEEEEEEEEEEEEEEEEEEEEEEEEEEEEEEERRRRRRRRRRRRRRRRRRRRRRRMMMMMMMMMMM! Are you sick of this joke yet? Well, tough, I’m not. That last comes from Emily, who is almost forgotten in Darrell’s excitement at seeing her parents. Mrs Rivers doesn’t quite know what to make of Emily, who’s a lot quieter than she expected of one of Darrell’s close friends. She did not know that as yet Darrell had no definite friend. RUB IT IN, WHY DON’T YOU? …and as for [Darrell’s] father, well, any one would trust him at sight, thought Emily, gazing at his determined, good-looking face with its big dark eyes and intensly black eyebrows, just like Darrell’s but bigger and shaggier. Mr Rivers was based on Blyton’s second husband, remember, so this is an especially sweet tribute to the man. She saw Gwendoline with two women—one obviously her mother, with bright golden hair like Gwendoline’s and a rather babyish, empty face. The other must be Miss Winter, the governess, thought Darrell. What an awful person! Poor Miss Winter was not really awful. She was plain and poor and always eager to agree with everyone. She adored Gwendoline because she was pretty and graceful, and did not seem to see the selfishness and spoilt ways of the silly little girl. I feel like everything about Miss Winter’s life can be summed up in that one sentence — she has few resources of her own, but as long as she’s agreeable to the Laceys, she has security and an income. It’s not a good position at all. ‘Oh, darling—how clever you are!’ said Mrs. Lacey, fondly. Mary-Lou stared at Gwendoline in surprise. Why, everyone knew Gwendoline was a real muff at all games! Mary-Lou longed to say that Gwendoline was always bottom in the French class, but she did not dare to. How could Gwendoline stuff her people up with such a lot of lies? And how could they believe them? ‘Are you going to go in for the swimming-match this afternoon?’ asked Mrs. Lacey, looking fondly at Gwendoline, who today had her shining golden hair loose down her back, and looked, so her mother thought, like a real angel. SO GREAT. SO GREAT. I guess the class rankings aren’t put on display for the parents. But it’s okay, because Gwen has a Darrell-shaped comeuppance! Then Darrell spoilt it all! She passed by with her mother and father, and Mrs. Lacey was struck by her good looks and happy smile. This was all said in good humour and fun—but Gwendoline could willingly have pushed Darrell over the cliff at that moment! She went very red. Darrell looked in astonishment at Gwendoline, who was glaring at her, crimson in the face. ‘Gwendoline’s been stuffing you up, I expect!’ she said with a laugh, and went off to join her own party. ‘What a very outspoken, blunt sort of girl,’ said Miss Winter, puzzled and worried. It turns out that not even Mary-Lou can be bullied into saying that Gwen is great at sport. I like to picture her looking around wildly, going, “LOOK OVER THERE!” and jumping in the pool to escape. Though actually she just remembers an urgent appointment with Mam’zelle. She plunged down into a path that led through some bushes in the drive and disappeared. Cold chicken and pickles—pickles! There was never a pickle to be seen at school. Little cardboard containers full of fresh salad and mayonnaise sauce. Delicious! Jam-tarts and slabs of chocolate ice-cream. What a lunch! And, naturally, ginger beer to wash it down. I must be hungry, because that sounds to me like the perfect meal. PICKLES. The swimming-sports were exciting. Mrs. Rivers was delighted with Darrell’s strong swimming, graceful diving, and fearlessness. She was one of the best of the small girls. Some of the big girls were extremely clever in their diving, especially Marilyn, the sixth-form games-captain. Everyone cheered her as she did a graceful swallow-dive from the topmost board. Mrs. Lacey ask Gwendoline. Gwendoline, who was near Darrell and a few others, looked round warily, wishing her mother wouldn’t ask such awkward questions in public. ‘Well—not quite all,’ she said, and Miss Winter patted her fondly on the shoulder. But all this is secondary to the important matter of Sally: What The Hell Is Up With Her? I was totally going to start doing the “two chapters at once” thing a while back, but then I hit a really long chapter or something. Who knows? Anyway! We left Gwendoline plotting to bring about the downfall of her enemies by (a) feigning friendship with Mary-Lou whilst (b) torturing her and (c) letting Darrell and Alicia take the blame for said torture. Draco Malfoy got nothing on Gwendoline Mary Lacey. Finally, following a mix-up with her grammar books, Mary-Lou finds the spider. Mary-Lou stuffed her English grammar into the back of her desk and pulled out the French one. The spider, feeling itself dislodged by the book, ran out in a fright. It ran almost up to Mary-Lou before she saw it. She let the desk-lid drop with a terrific bang and gave a heart-rending scream. I realise that by saying this I’m destroying all kinds of Australian stereotypes, but I TOTALLY SYMPATHISE, MARY-LOU. Once I went to school with an odd lump in my shoe, and when I got home it turned out to be a dead huntsman spider. I STILL HAVE CHILLS. Mam’zelle is less sympathetic, what with how the first form haven’t exactly been models of propriety over the last few weeks. Though you’d think she’d know that Mary-Lou wouldn’t say boo to a goose. So Mam’zelle goes searching through the desk, and naturally the spider is initially terrified but then comes out charging. Right up Mam’zelle’s arm. Mam’zelle stared at the enormous thing as if she really could not believe her eyes. She gave a shriek even louder than Mary-Lou had given! She too was scared of spiders, and here was a giant specimen running over her person! ‘Ah, where is it, the monster? Girls, girls, can you see it?’ wailed Mam’zelle. ‘It’s here,’ said wicked Alicia and ran a light finger down Mam’zelle’s spine. THESE ARE THE WORST PEOPLE IN THE ENTIRE WORLD. Miss Potts, taking the second form in the next room — interesting how in this school the teachers move around, rather than the students, as we’d expect from a modern school — and hears the noise. ‘Girls!’ she said, but her voice went unheard. ‘GIRLS!’ Irene suddenly saw her and started to nudge everyone. ‘Look out here’s Potty,’ she hissed. The girls flowed back from Mam’zelle as if they were water! I like that water comparison; less keen on the entirely unnecessary exclamation mark. Miss Potts looked so disbelieving that Mam’zelle exaggerated the size of the spider, and held out her hands to show Miss Potts that it was at least as big as fair-sized frog. In addition to being really funny, this is something we don’t often get to see in Blyton’s novels: a conversation between two adults who have forgotten there are children present. The girls had enjoyed everything immensely. What a French lesson! Gwendoline had enjoyed it too, especially as she was the cause of it, though nobody knew that, of course. She sat demurely in her desk, watching the two mistresses closely. BUT WAIT! GWEN IS ABOUT TO COME FACE TO FACE WITH KARMA IN ITS EIGHT-LEGGED FORM! And then suddenly she felt something running up her leg! She looked down. It was the spider! It had left Mam’zelle a long time ago, and had secreted itself under a desk, afraid of all the trampling feet around. Now, when peace seemed restored, the spider wanted to seek a better hiding-place. It ran over Gwendoline’s shoe, up her stocking and above her knee. She gave a piercing scream. Note that Lloyd has captured Gwendoline’s long hair in its plaits, and also Mam’zelle’s lorgnettes. Gwendoline shook herself violently, not daring to scream again, but filled with the utmost horror at the thought of the spider creeping over her. Naturally, none of this is Gwen’s fault. How dare the spider go for her! On the other hand, that just makes it EVEN MORE LIKELY it was all Darrell and Alicia’s fault! Now she had got to have double punishment. Gwen sidles back into the classroom, but Mam’zelle, now rather embarrassed by her behaviour, sends her right out again! I’m pretty sure this makes Mam’zelle Rougier the only one of Blyton’s various French characters who isn’t terrified of creepy-crawlies. Irene’s very much a secondary character, but all through the series she gets some really amazing lines. Gwen, in the guise of sympathy, ‘innocently’ suggests that someone put the spider in Mary-Lou’s desk. Until then, everyone had assumed it had just … wandered in. As spiders do. I like Jean’s grudging concession that Mary-Lou’s fear might be involuntary. THANKS, NARRATOR, WE HADN’T GUESSED THAT. ‘Well, if you’d almost drown her one week, I should think you could quite well bring yourself to put a spider in her desk the next week,’ said Darrell. Gwen’s attempts to push the issue are stymied by the entire class chanting, “SHUT UP, GWENDOLINE!” until she goes away. Twelve year olds. So great. Gwen feels “vicious”, we are told, and she attempts to suggest to Miss Potts that Darrell and Alicia were behind the incident. This … doesn’t go well. I think this is another source of the idea that Blyton’s school stories feature teacher-sanctioned spankings. Also, Miss Potts is still the greatest. Not for the spanking thing, but she speaks to and about the students like they’re actually people. Gwen’s less pleased. 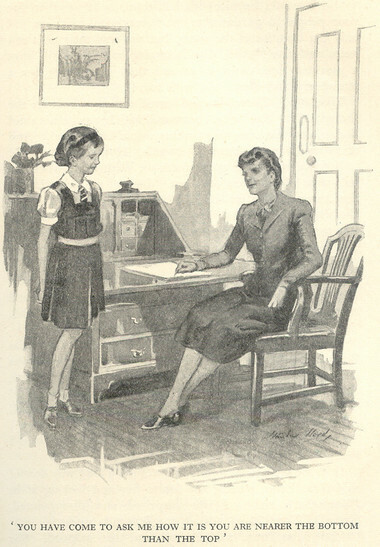 Her mother and governess would be horrified if they knew what a terrible, awful school Malory Towers was, but she senses that Miss Potts and her father might be kindred spirits. A week passes, taken up largely with swimming and Darrell’s attempts to match Betty and Alicia in their feats of diving. 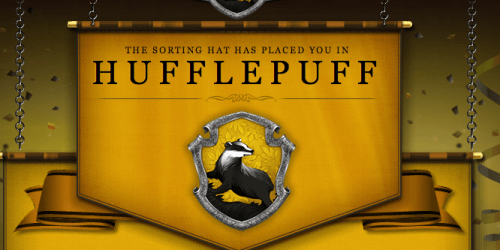 Sadly for Darrell, though she’s fearless like the good little Gryffindor she is, she’s just … not as good. And Mary-Lou’s having a bad time of it. Her clothes are dropped in a puddle, her new tennis racket has its strings cut. So, making a great show of it, Gwendoline sewed on the six blue buttons one night. The first-formers stared at her in surprise. They knew she never mended anything if she could help it. ‘How did those buttons come off?’ asked Jean. ‘That’s what I’d like to know,’ said Gwendoline smugly. For the first time the class starts to wonder about the mysterious destruction of Mary-Lou’s property. Someone must be doing it, but even though some of her pencils turned up in Alicia’s desk, no one but Gwen thinks she was responsible. Alicia likes to be upfront about her bullying. ‘Is your mother coming, Sally?’ asked Mary-Lou. Then Darrell, well-intentioned, curious Darrell, remembers that her mother mentioned having met Sally’s mum … and her baby sister. ‘Oh, Sally, I expect your mother won’t come because of the baby,’ she said. Sally went stiff. She stared at Darrell as if she couldn’t believe her ears. Her face went quite white, and when she spoke she sounded as if she were choking. I think this is actually the only mention of Sally’s father in the entire series. If not for the baby sister, I would have assumed Mrs Hope was widowed. Irene: SO GREAT. SO UNDER-APPRECIATED. You can probably guess what’s going on with Sally, right? But I love this bit, because while Blyton’s not exactly known as an observer of human psychology, I think she gets Sally exactly right here — that childishness that comes from fear and jealousy. Darrell was utterly taken about. What in the wide world did Sally mean? She watched the girl go out of the room, and sank down on to a form, completely bewildered. Next chapter: SPRING BREEEEEEEEEEEEEEEEEEEEEEEEEEAAAAAAAAAAAAAAAAAAAK! I mean, HALF TEEEEEEEEEEEEEEEEEEEEEEEEEEEEEEEEEEEEERRRRRRRRRRM! The chapter begins with a sensual description of swimming in a cold pool on a hot day. I hear you Enid. Even though it’s freezing right now and the thought of immersing myself in icy water is … unpleasant. Darrell loved to have a game of tennis and then sprint down to the pool to bathe. Oh, the delicious coolness of the water then! She couldn’t understand how Gwendoline or Mary-Lou could possibly shrink from getting in. But they insisted that the hotter the day, the colder the water felt, and they didn’t like it. Darrell sings the praises of the icy cold plunge, and finishes by calling Mary-Lou and Gwen cowards. Neither Mary-Lou nor Gwendoline liked being called cowards. She tried her hardest to make Darrell pleased with her by running after her more than ever, even to tidying her locker in the common room, which exasperated Darrell because Mary-Lou always altered her arrangement of things. And out would come every single thing in the locker, higgledy-piggledy on the floor! Mary-Lou would look on mournfully. ‘Oh—I tidied them all so nicely for you,’ she would say. “I only do it to help you,’ Mary-Lou would murmur. Yeah, Mary-Lou, no. Step away from the personal possessions! Alicia doesn’t appreciate Mary-Lou’s unsolicited tidying any more than Darrell does, and is even less tactful about it, if that’s possible. Unfortunately, Darrell and Alicia are driving Mary-Lou right into the arms of Gwendoline. ‘Hallo! Crying again! Whatever’s up now?’ asked Gwendoline, who was always interested in other people’s rows, though never sympathetic. Gwen is just fascinated to learn that Mary-Lou is having problems with Alicia and Darrell, and is deeply sympathetic, and even manages to get in a few digs at Betty! As she spoke, a perfectly wonderful idea came into Gwendoline’s head. She stopped and thought a moment, her eyes shining. In one moment she saw how she could get even with Alicia and Darrell, yes, and give that stupid little Mary-Lou a few bad moments too. It’s a little known fact that the word “frenemy” was created especially to describe Gwendoline Mary Lacey. 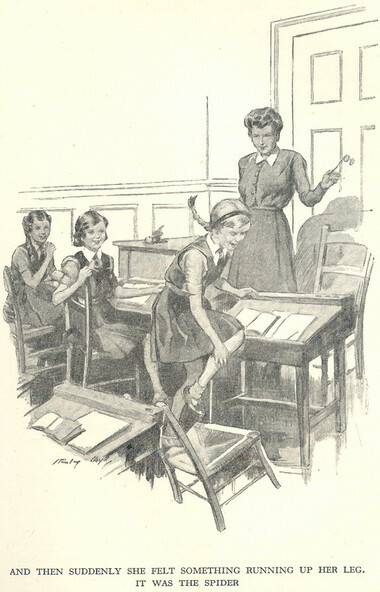 To Mary-Lou’s intense surprise she suddenly slipped her arm through the younger girl’s. Imagine if Gwen was a guy being called out for cruel and bullying behaviour towards a girl he was now trying to ask out. What would he say next? I’m guessing the “It was just a joke” defence would come out. Gwendoline gave her arm a squeeze, bestowed another honeyed smile on the perplexed Mary-Lou and walked off to think out her suddenly conceived plan in peace. Gwen’s plan is to play tricks on Mary-Lou, figuring that Alicia and Darrell will be blamed for them, as they’ve made no secret of their annoyance with Mary-Lou. And Gwen genuinely believes that Darrell and Alicia would be that overtly cruel, even though their meanness is generally verbal and to one’s face rather than elaborate pranks designed to scare people. I like this. It’s plausible. Most people don’t set out thinking, “Hah, I’m going to do the wrong thing!” Rationalisations are go! In fact, a similar plotline appears in the second season of Dance Academy — I really must do a post sometime about how Dance Academy combines boarding school and stage school tropes in one glorious Australian setting — when a girl destroys her pointe shoes and those of her “friend”, leaving the girl with undamaged shoes to take the blame. But Grace doesn’t bother with rationalisations beyond the fact that her father ignores her and she’s jealous of the other students. She’s quite upfront about being manipulative, which is refreshing compared with Gwen, but had her bordering on cartoon villainy by the end of the season. She would pop a black-beetle into Mary-Lou’s desk—or a few worms—or even a mouse if she could get hold of it. But no—Gwendoline quickly ruled out mice because she was so scared of them herself. She didn’t much like black-beetles or worms either, but she could manage to scoop those up into a match-box or something. She could do that. And she could remove Mary-Lou’s favourite pencils and hide them in Alicia’s locker. That would be a cunning thing to do! She might put one or two of Mary- Lou’s books in Darrell’s locker too. And how sympathetic she would be with Mary-Lou when she found out these tricks! There really ought to be some kind of Alicia’s Brothers Drinking Game. I don’t like to ask how, but Gwen manages to keep her spider alive until Monday. Gwendoline’s chance came, and she took it. She was told to go and fetch something from her common room, ten minutes before afternoon school. She tore there to get it, then raced to the first-form classroom with the cardboard box. She opened it and let the great, long-legged spider run into the desk. It ran to a dark corner and crouched there, quite still. Gwendoline hurried away, certain that no one had seen her. Two minutes later Darrell and Alicia strolled in to fill the flower-vases with water. Ah, luck was with Gwendoline just then!